If the short days and weather changes are zapping your teen’s energy and making them feel a bit blue this winter, these may be signs of a seasonal mood disorder. Seasonal Affective Disorder (or S.A.D.) is a type of depression precipitated by the change of season, usually occurring in winter, and it doesn’t just happen in adults. So, why might your teen be experiencing S.A.D.? Experts aren’t entirely sure, but many believe that the change of season affects circadian rhythms. Circadian rhythms control how our bodies function when we’re awake and asleep, and changes can make us feel extra energized at some points and super drowsy at others. Other theories contend that the seasonal changes disrupt hormones, like melatonin and serotonin, that control our sleep and mood. Whatever the cause, according to a report by Dr. Steven Targum and Dr. Norman Rosenthal, six percent of the US population is affected by Seasonal Affective Disorder, and another 14 percent suffer from seasonal mood changes. As parents, it is important to note that young people, especially those living furthest from the equator, are most likely to experience S.A.D. While teens with a diagnosis or family history of depression or bipolar disorder are particularly susceptible. Sit by a sunlight lamp. Sunlight lamps produce light which imitates the sun’s rays and can provide a lovely antidote to winter’s blues. Encourage your teen to sit beside their sunlight lamp for half an hour each day. The light will energize circadian rhythms and subdue the natural release of melatonin. Use alarm clocks that wake with light instead of sound. Find an alarm clock that will wake your teen up with a gradually increasing light, instead of an abrupt beep or a blast of loud music. This will simulate rising with dawn, which, with Daylight Savings and early morning school schedules, your teen might normally miss. Essential oils can have a calming effect. Aromatherapy can influence the part of your teen’s brain that controls mood as well as their internal clock that sends them alerts about sleepiness and hunger. Adding oil to their nighttime routine, a few drops in the bath or through a diffuser in their room could help them relax and encourage a restful night’s sleep. Try lavender, bergamot, or ylang-ylang. Practice a regular exercise routine. 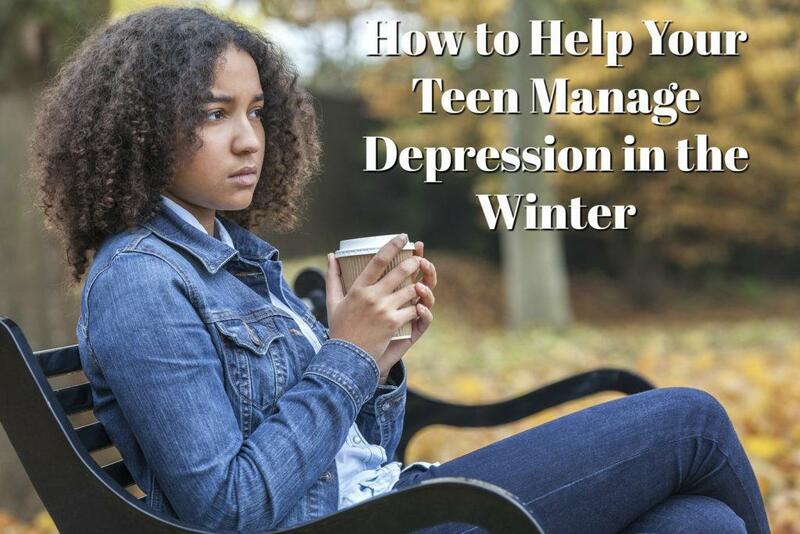 As is the case for other types of depression, exercise can help your teen manage their depression in the winter, too. Outdoor exercise is a wonderful way to alleviate the symptoms of S.A.D. However, with inclement winter weather, this isn’t always possible. Encourage your teen to engage in the next best thing — exercising near a window. Running on a treadmill with a view of the outdoors is a great exercise routine to implement in the winter. Your teen could also try a yoga practice, indoor swimming, or an intramural sports team. Talk to a professional. If your teen is experiencing symptoms of depression, whether seasonal or not, it is always best to get help from a professional. Screening questions can ascertain an official diagnosis as well as determine whether your teen is experiencing S.A.D. or another form of depression. If your teen is suffering from the symptoms of depression this winter, contact our team at Doorways for an accurate diagnosis and treatment plan.